An unfortunate Singaporean student has hit the news this week after she was taken to court by LTA, for the offence of having used an empty socket at a station to recharge her mobile phone. She pleaded guilty and was fined $400 which presumably means that this is now on her record. Singaporeans are permanently angry with SMRT for poor service and that this girl has been shown no empathy, is seen as just the latest outrage. But is it that simple? Many of us think that it is totally acceptable to plug our devices into any empty, available socket anywhere but at home. But let’s face it, that’s theft. Of course this is theft from SMRT and we could argue that they have been robbing us blind for years so it is justifiable. Up above ground, Starbucks and others offer up sockets freely to their clients, so it would be easy to presume that any open socket, in an establishment where you are a bona fide customer, is fair game. On the other hand 3G is available in MRT stations so unlike in London and other large urban cities, Singaporeans don’t have to disconnect to go underground. Of course SingTel and Starhub and M1 don’t supply that service out of the goodness of their hearts or because they really understand why you need to be on FaceBook right NOW! It’s in their commercial interests. The longer you are on line the more data you use, the more advertising they sell. What worries me more than the question of theft is the question of safety for everyone involved. Adults can and do ask complete strangers if they can borrow their phones if they get caught out in an emergency. Children and others may be too shy to ask for favour. For vulnerable groups the phone is often for security as much as for entertainment or communication. So, if that student were my daughter I wouldn’t like to think of her stuck with a phone with a dead battery. I would fully understand why she might want to plug it into a socket for few minutes at a station. I would also understand why SMRT might find that unacceptable ( but not why LTA would take her to court). What if the re-charger was faulty? One of those cloned ones that shorts and blows up. The last thing SMRT needs is an electrical outage or heaven forbid, with the way our stations are overcrowded, a fire underground. Even apart from these hazards the cord from the re-charger is in itself a trip hazard. But this brings me to the hazard of the socket itself. Looking at the photo above, the socket is at the bottom of a pillar, presumably placed down there for cleaning equipment or power tools. It is at mid-calf height for an adult which is the perfect height for a toddler to stick a finger, a pen, a chopstick, a stylus or anything else into. Toddlers die each year from doing just that to unprotected sockets. Why are these sockets open, vulnerable and at child height? We’ve already seen one child lose her legs on an inadequately protected platform. If anyone wants to take SMRT to court for professional negligence – or to use a non legal term for being BLUR – they’ve got my backing. In fact that girl’s parents should counter sue for reckless endangerment, the damage that could have been caused to their daughter had the socket been faulty. At the least they should Appeal. SMRT are under obligation to ensure that stations are safe for public use. They should and must keep their unused sockets covered or protected and supply warning signs. As well as being adequately labelled, electrical outlets should be moved high up out of the reach of prying fingers. Better still there is new technology out there designed by Sony which enables outlets embedded with an IC chip to identify who is plugging in and whether they must pay for the power. If the system identifies you or your device as an authorized user, the power is free. If not, you’ll be denied access, or you may have the option to pay via an app or your card. Apparently coffee shops are keen to get this technology to stop table squatting. A high tech solution for coffee shops to replace those, “No Homework”signs. 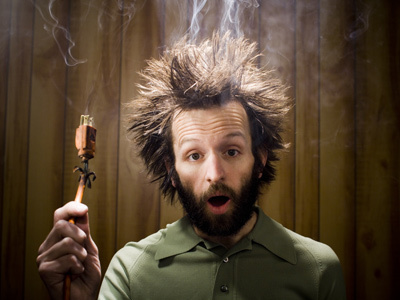 We live in a connected society that used to be known as the ‘wired’ society. Until of course, it became wireless. Now the only wires we need are for our re-chargers and what a nuisance that is. Our MRT stations are new and we’ve been ahead of the curve in being able to use our phones on the train. Still it is predictable that our government has reacted to the cyber noise by calling for a review of SMRT’s rules rather than trying to come up with an innovative solution. Let’s give the customers more of what they need, what they want and what they are paying for. Let SMRT start thinking about safety first. A simple low tech solution would be to install re-charging boxes or kisoks. These are common all over the UK and Europe in stations, at airports, at bus stops and in malls. 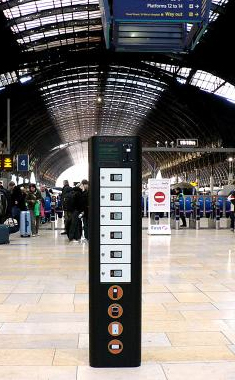 The ones provided by UK company ChargeBox, that I have seen in shopping centres, are actually free to use. You may have seen something similar in Singapore at Ion or Vivocity or Changi although they are not free and seem to have some teething problems. It seems to me they would be even better placed in transport hubs. The service should be free of course, as you’re paying for the data bundle already. I’m sure the telecoms corporations would happily reimburse SMRT for the electricity costs rather than lose the customers. 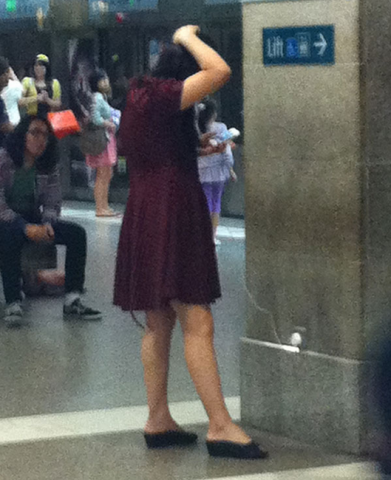 Meanwhile at SMRT stations keep your children away from those sockets . I will be writing a blog on the fare hikes and this silly idea that SMRT should be Nationalised very soon. I read of a case that a woman was fined for breaking the no eating rule in a SMRT train. She had a cough drop in her mouth!! It’s not the fault of the rules but the way they are interpreted. SMRT cannot be taken to court.for professional negligence. You forgot, in Singapore the government, quasi-government agencies and the PAP is above the law! Yes Sir, u r absolutely right. Not only some members of the public “steal” electricity when they charge their phone; a more dangerous situation is when charging any phone programmes can be altered especially when charging from CPUs. So the usage of charging external charging socket outlets must be restricted! Now where is that guy from the SKM? Shouldn’t he argue for empathy from the powers that be for the common folk? Rather speak up for a rich foreigner than a local teenager. Slip in an admonition or two against the online community and advice for the establishment. Personally, this episode makes me more aware and less receptive toward the SKM. Well done William.